Animate Outhwaite Red Tartan Padded Dog Coat 20"
Home > Animate Outhwaite Red Tartan Padded Dog Coat 20"
A very striking Red Tartan pattern in a very practical hardwearing dog coat. This coat is waterproof, windproof and washable with a soft padded inner. 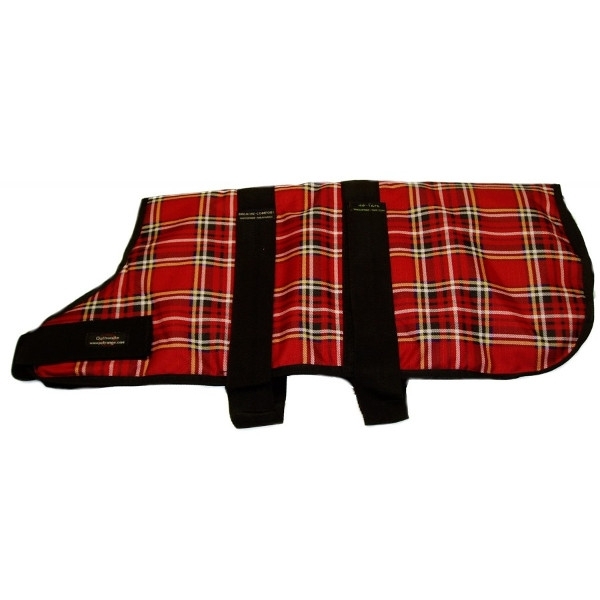 It has a wide girth tape with a generous velcro fasten, enabling a good snug fit for your dog. Available from 10" to 30" in 2" increments. Lengths are measure from the dogs collar area to the base of the tail. For best measurements for your dog refer to our measuring chart.